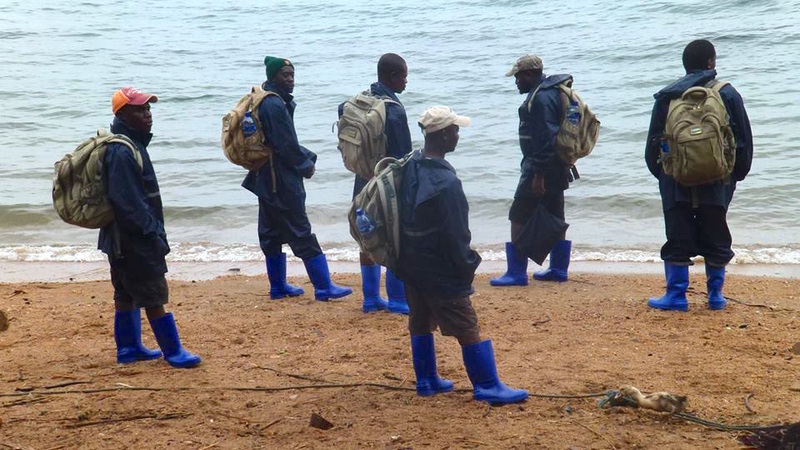 Despite being so isolated, the future and fate of the Lake Tanganyika Basin could not be more connected to the rest of the world. Rich in natural resources, like oil and minerals, and a place of enormous environmental importance because it contains one fifth of the world’s fresh water, the lake exists at the nexus of several global struggles and is increasingly attracting the attention of outside interests ranging from multi-national energy and mining corporations to global powers. The lake region is home to millions of indigenous and displaced poor, spread across four countries: Democratic Republic of the Congo, Tanzania, Burundi and Zambia. The cell phone revolution in sub-Saharan Africa is often taken for granted, yet in reality many areas still lack telecommunications infrastructure. The DRC has one of the lowest mobile phone penetration rates in the world, negatively impacting multiple sectors. We have been tackling this problem since 2012, when we began installing High Frequency (HF) radios in health centers in rural Moba Territory. 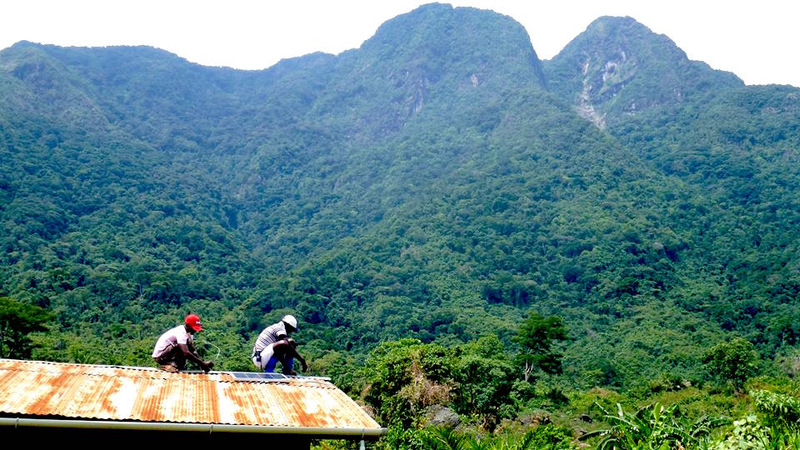 To date, the LTFHC has installed 11 HF radio with Electronic Medical Record (EMR) systems and 29 stand-alone HF radios, impacting over 325,000 people. HF radios continue to be a robust stand-alone solution to fragmented communications infrastructure in the Lake Tanganyika Basin, and we repeatedly see evidence of an improved reporting and feedback loop between the Ministry of Health (MOH) and rural health centers as a result of our radios. In South Kivu, DRC, for example, some of the most rural health centers have the highest reporting rates because calling in reports using the HF radio is so simple and effective. Health centers are also better able to communicate with each other: Lusenda Health Center, responsible for the Burundian refugee population in Lusenda camp (now overflowing beyond capacity at 20,000 people), uses their LTFHC-supplied radio to speak regularly with the Nundu Reference Hospital. This allows for much smoother management of the center, ensures the reference hospital is adequately prepared for incoming refugee patients, and provides up to date information to other partners managing the refugee crisis. Given the increasingly troubling security situation in the eastern DRC, a robust radio communications system will also be important for basic safety and community resilience. Though mobile networks continue to grow in the region, it is a slow process, the service is unreliable, and the data component is either unavailable or prohibitively expensive. 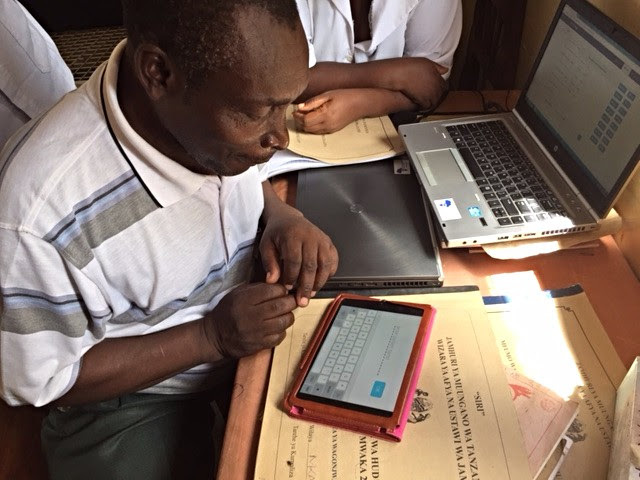 We are now preparing to pilot a tablet-based EMR application in ten health centers in Tanganyika Province, DRC early next year. At the request of the Tanganyika MOH, this exciting next iteration of the program focuses on prenatal data collection. We are, however, designing the software to accommodate other activities and indicators at the health center level in the future, such as delivery services, childhood illnesses, and malaria diagnostics and treatment. While there are many “m-health” applications in the global healthcare space, few are designed and built in partnership with exactly the people the technology is intended to serve. Our tablet app is thus a powerful example of what differentiates us in our approach. We are eager to share further updates on this cornerstone program in 2017. Donate today to support the LTFHC’s continued healthcare infrastructure building in the Lake Tanganyika Basin. Lake Tanganyika Floating Health Clinic.